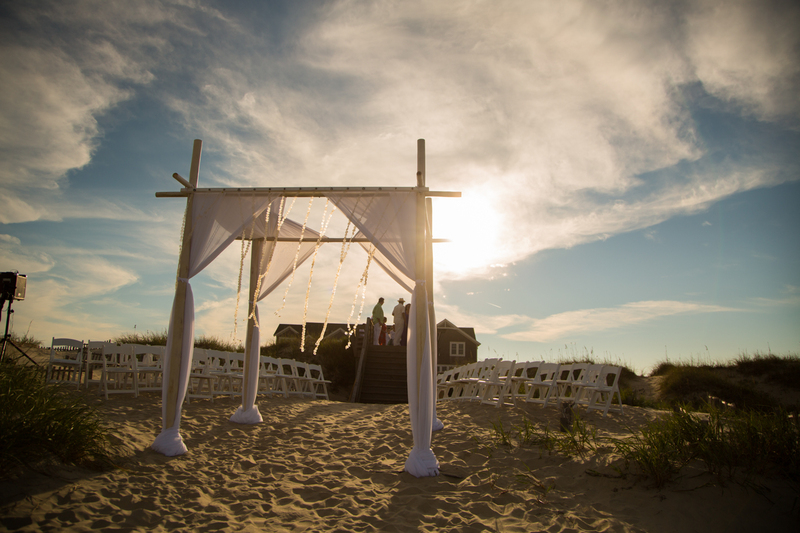 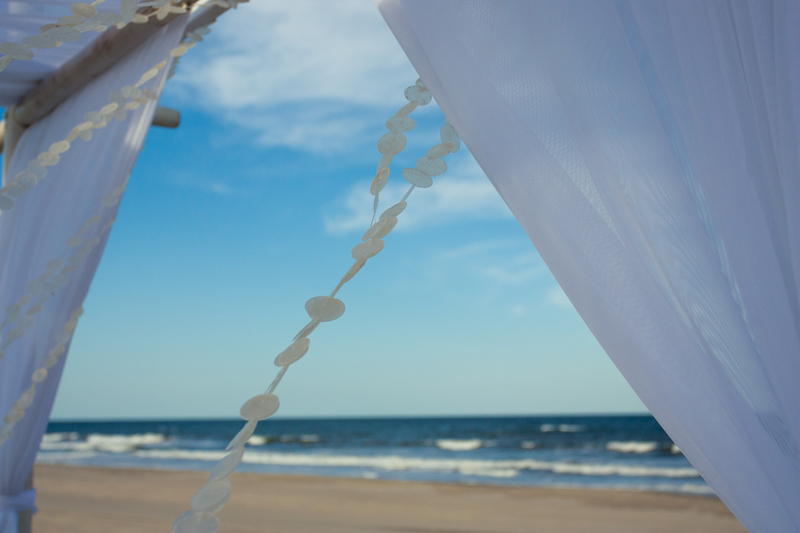 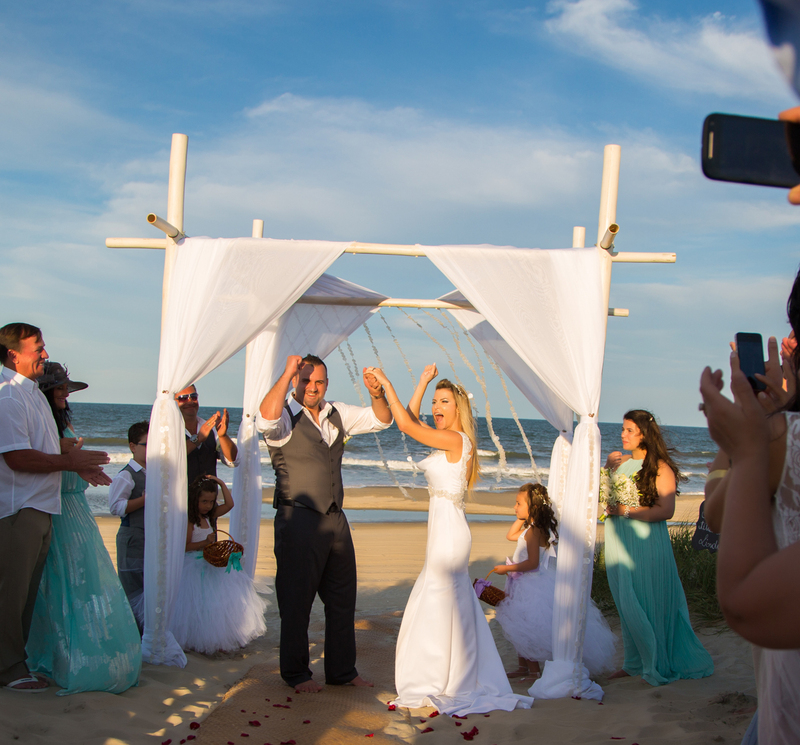 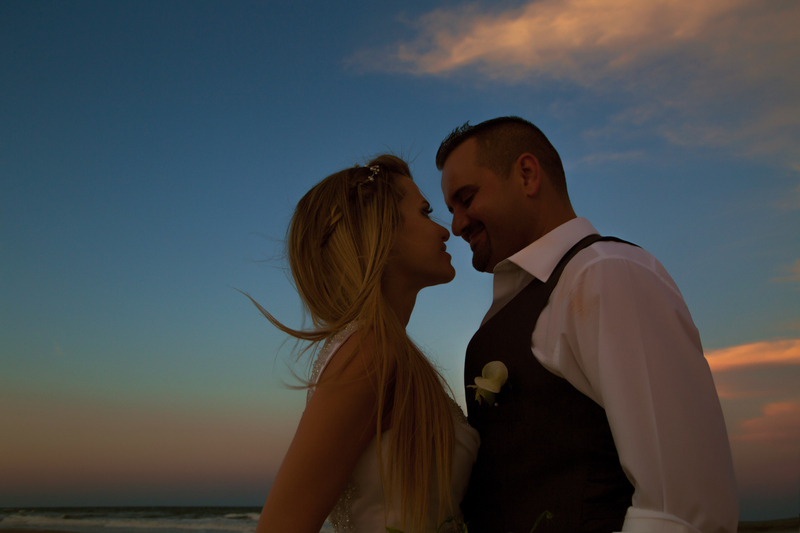 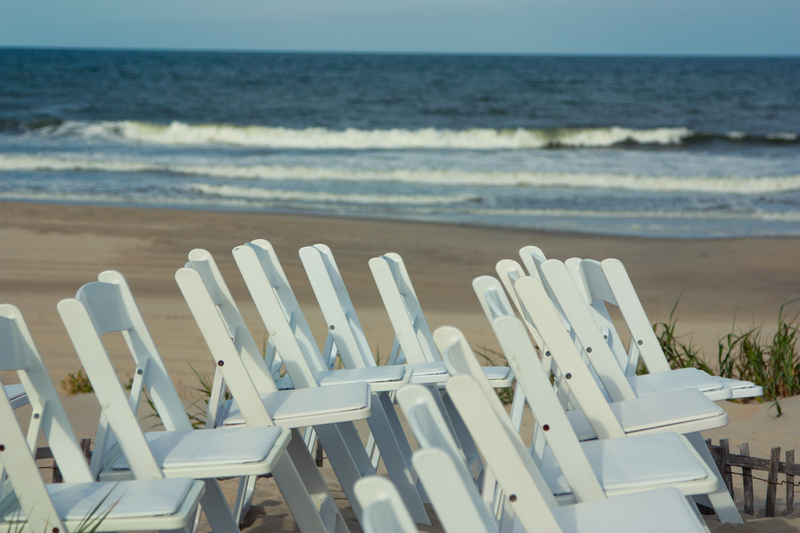 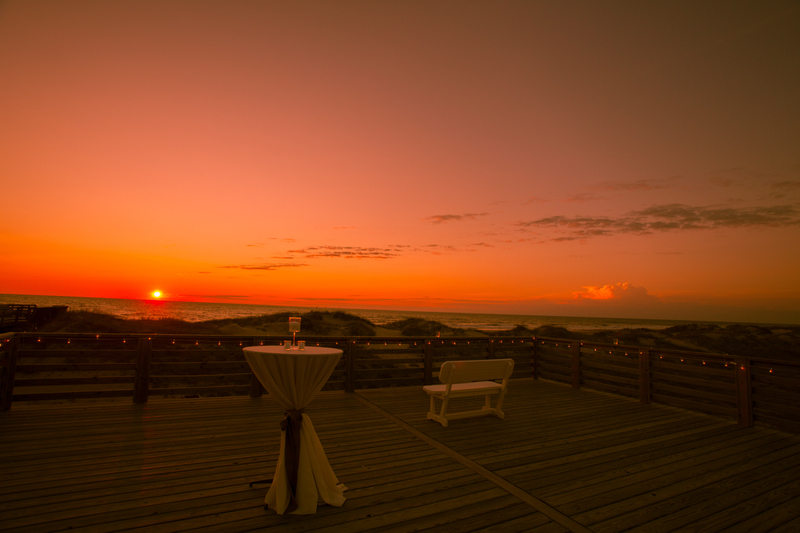 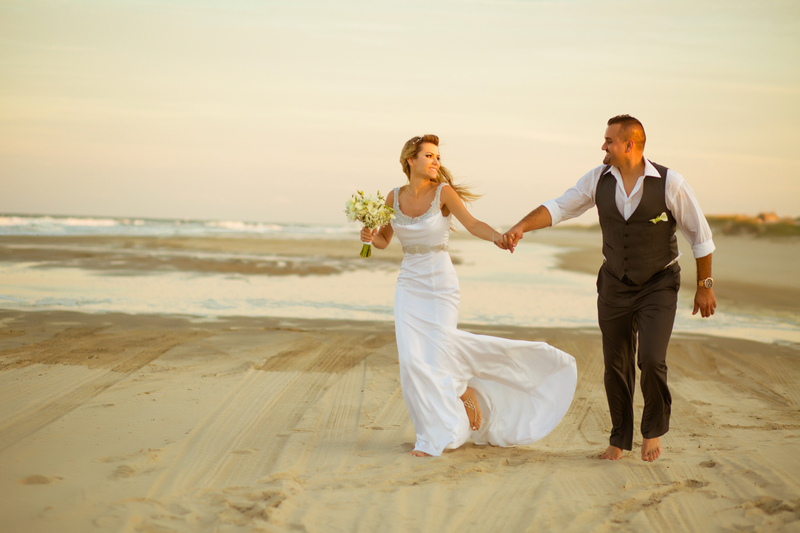 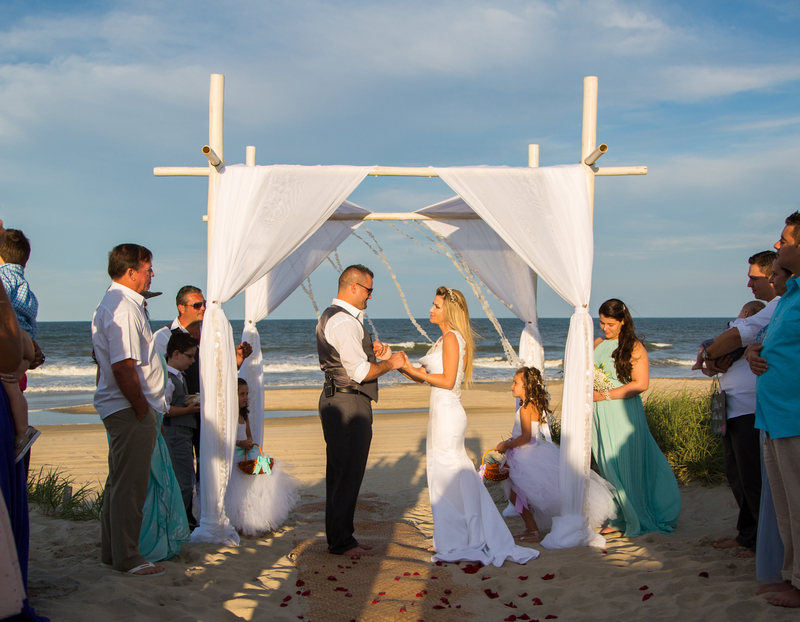 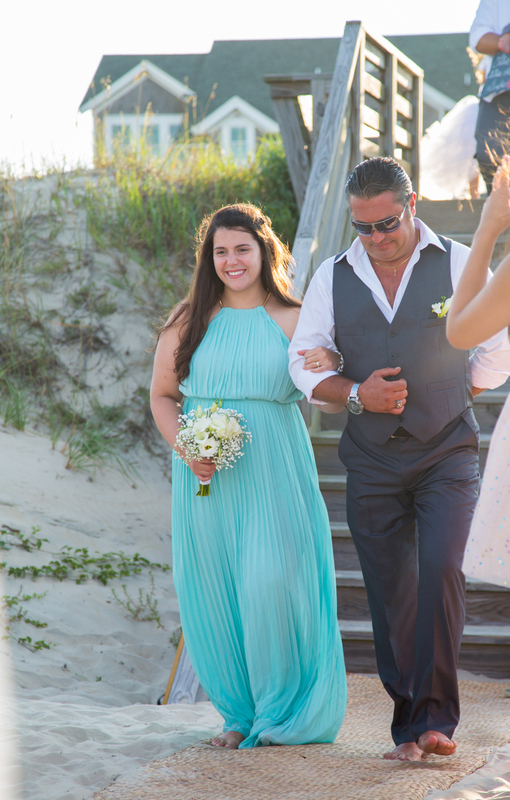 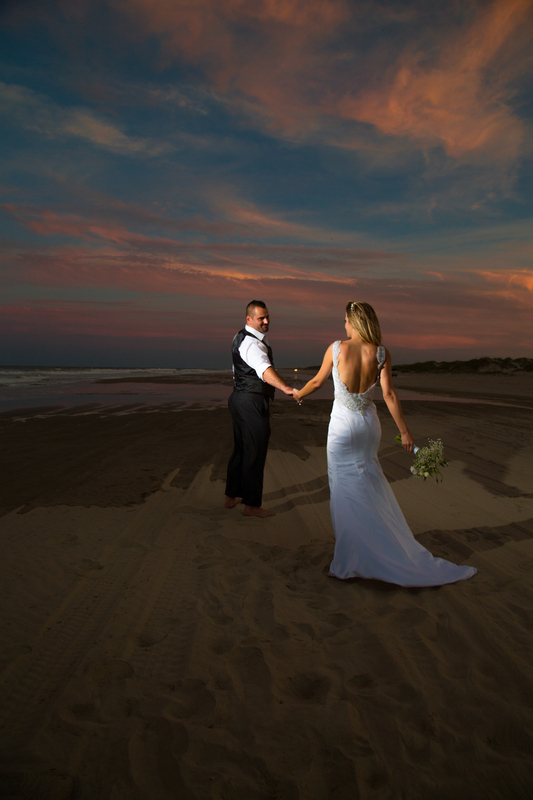 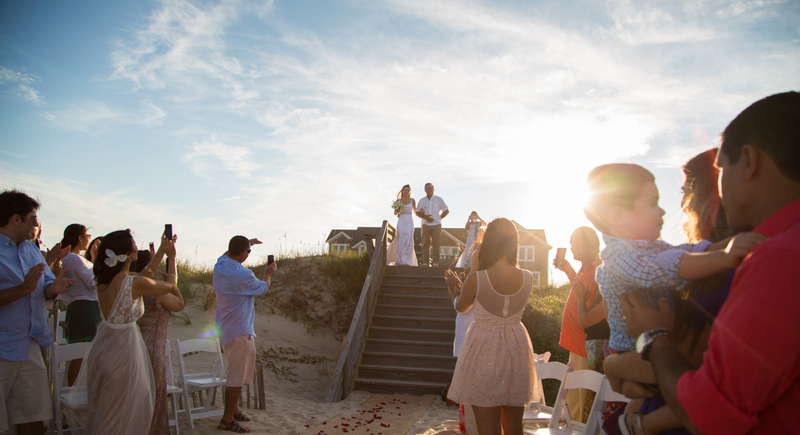 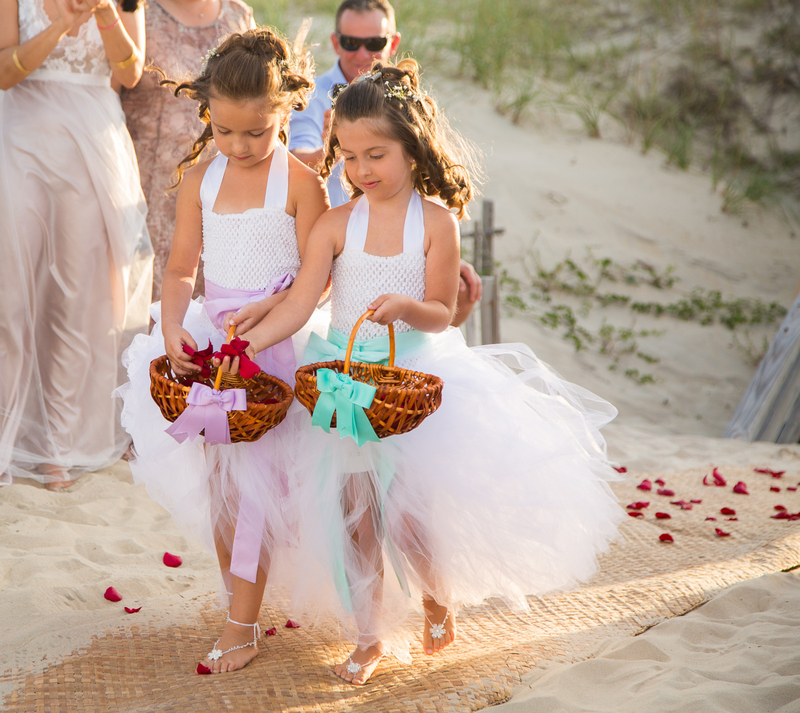 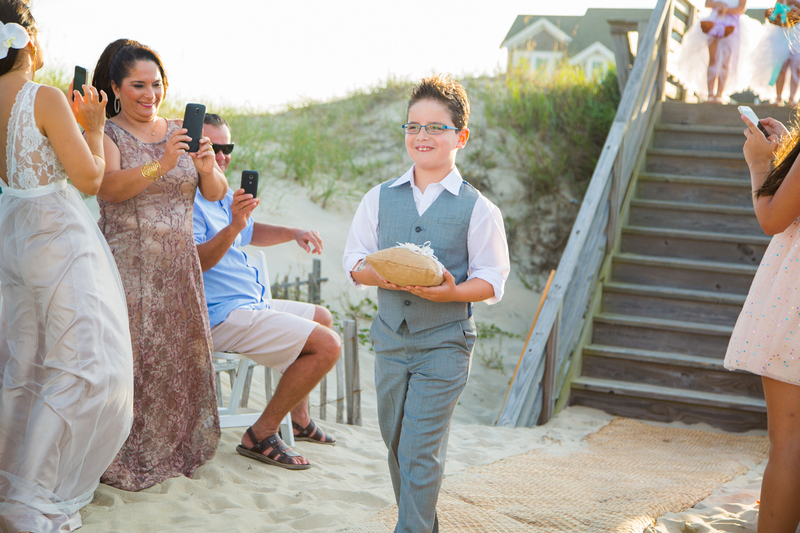 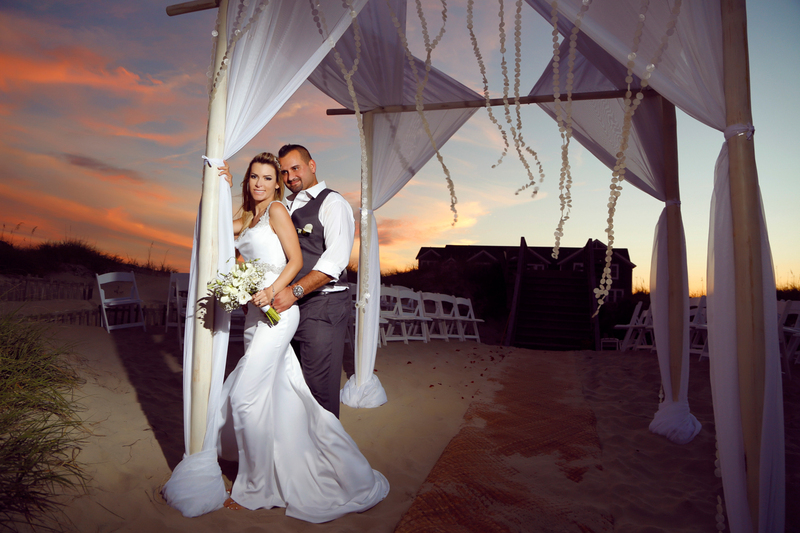 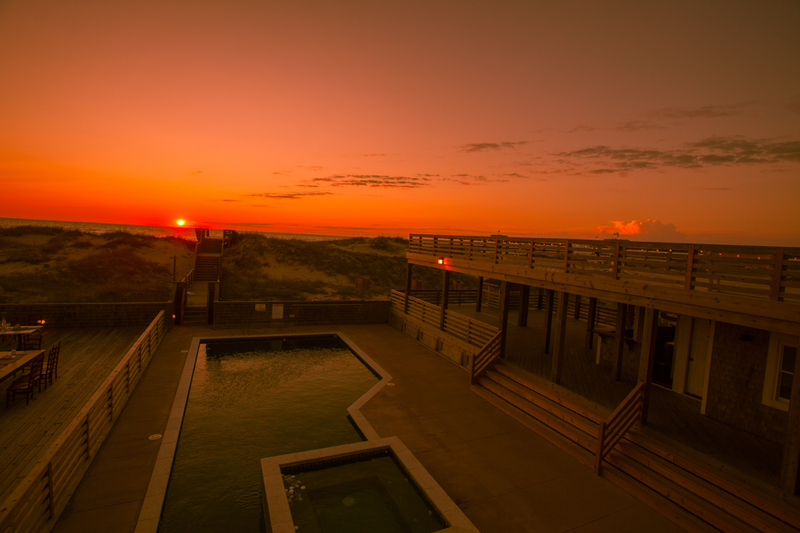 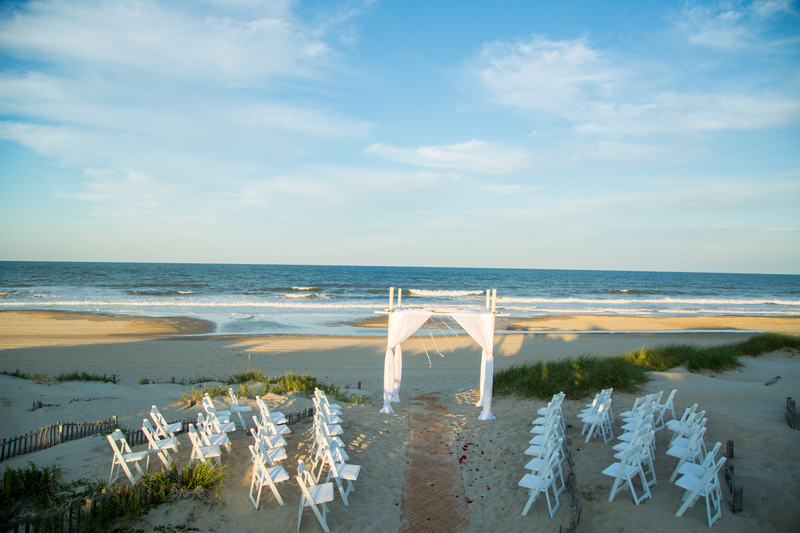 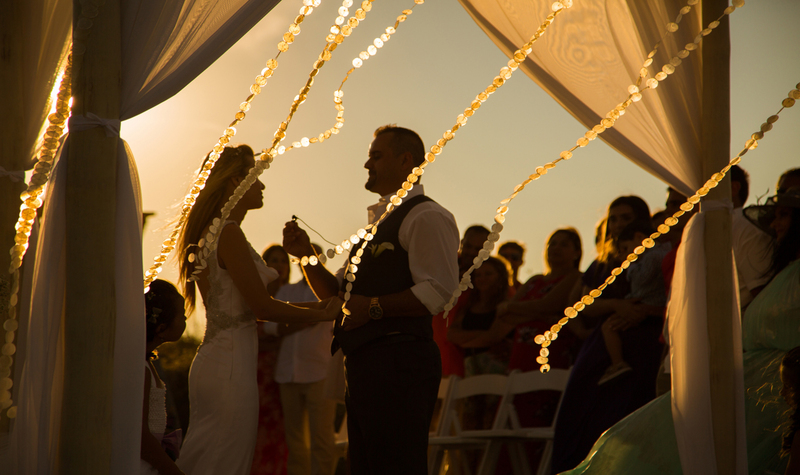 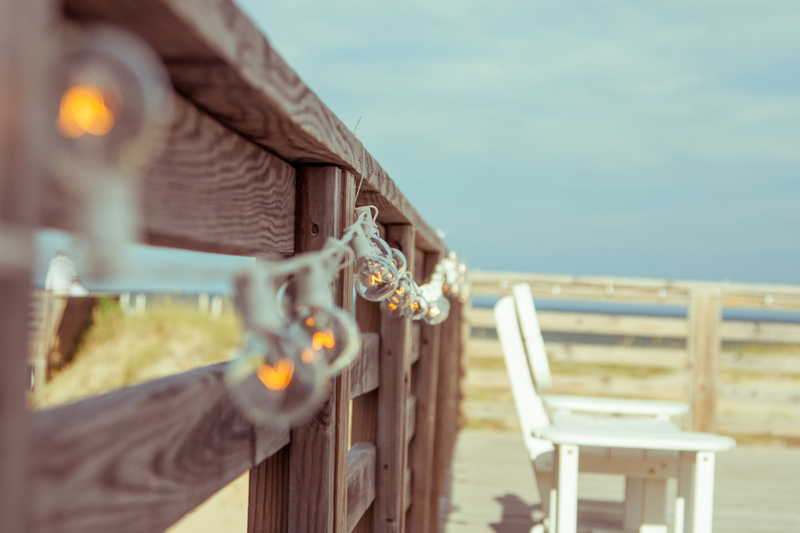 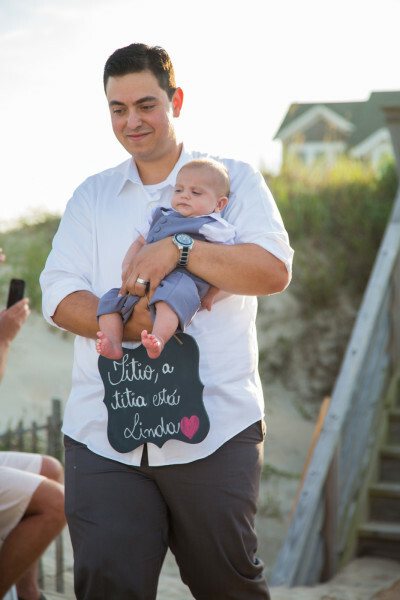 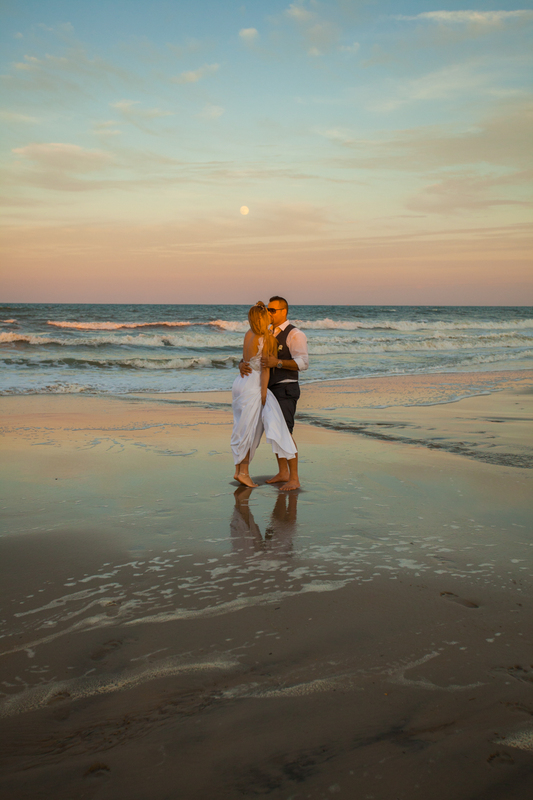 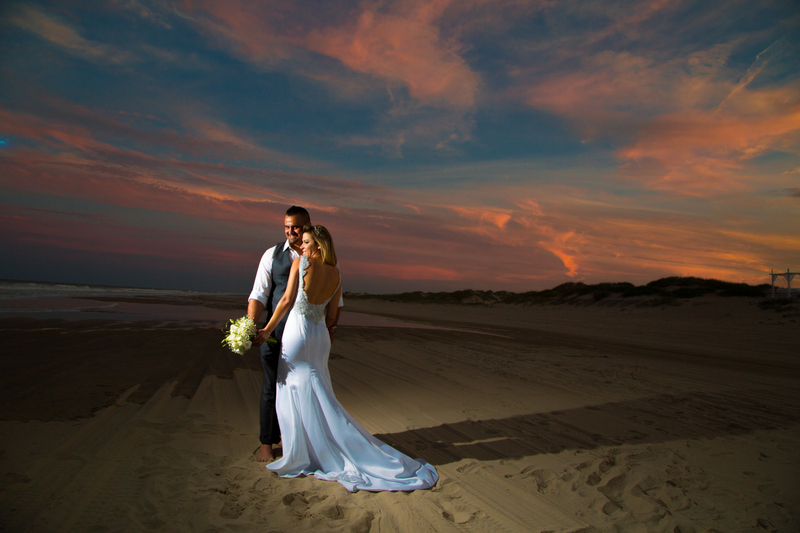 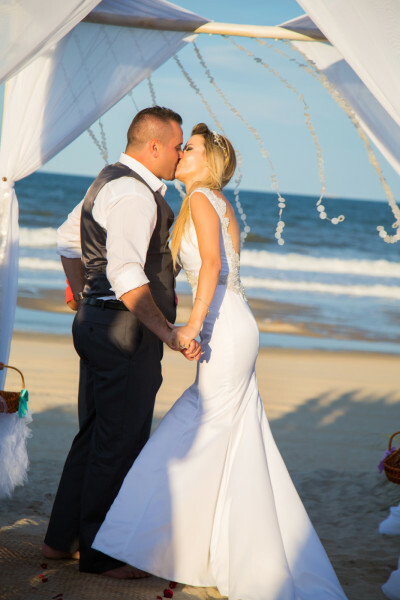 Outer Banks in North Carolina, end of summer with it’s magical sunsets, perfect time to have a destination beach wedding! 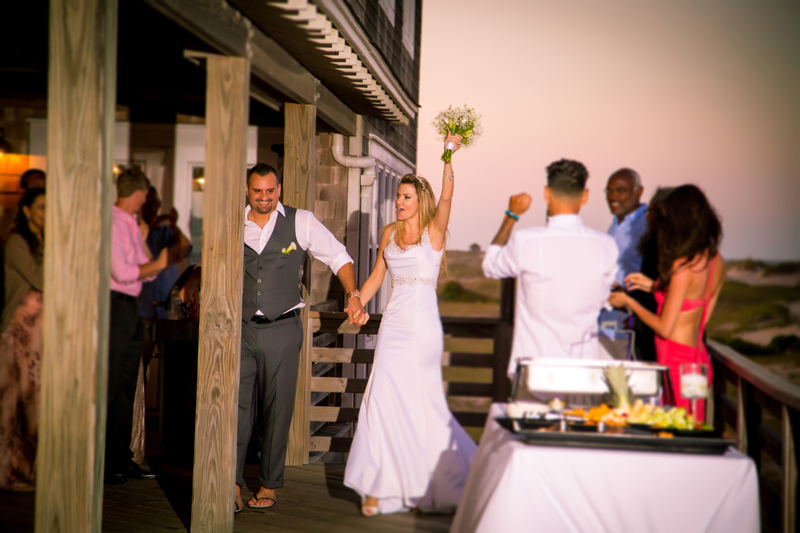 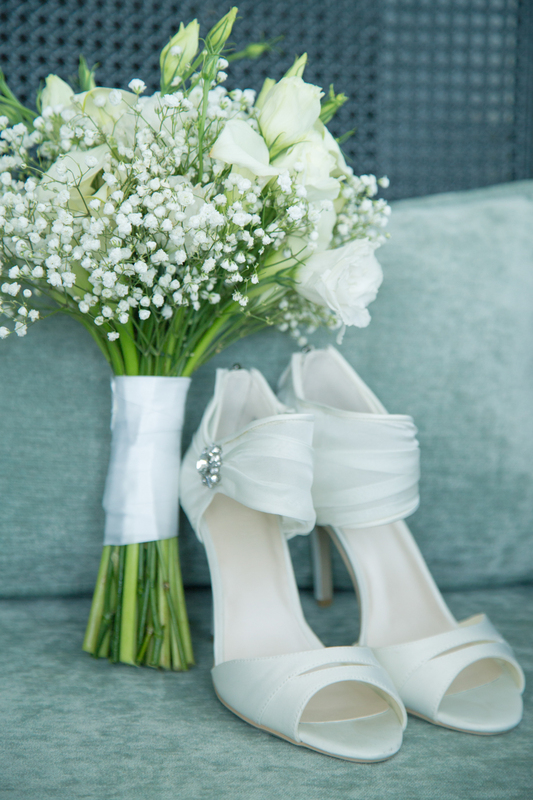 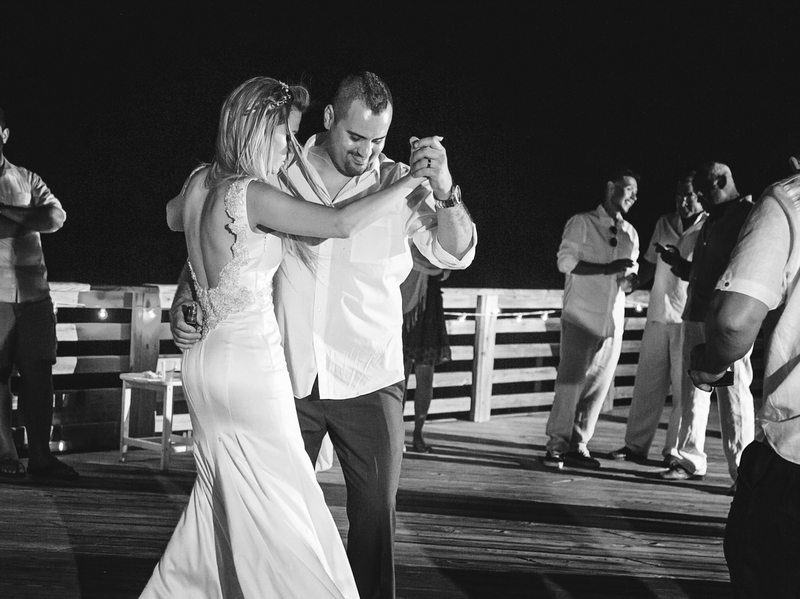 Bell and Dan rented Wild Horse wedding house – an amazing property with access to the beach, outdoor pool and lots of space for entertainment. 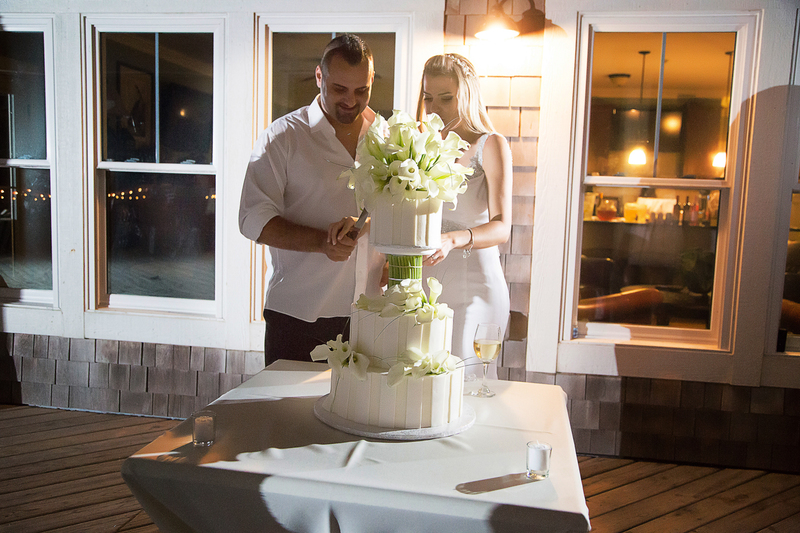 They actually had a house for the whole week, and decided to combine the wedding a little vacation with all of their friends and family. 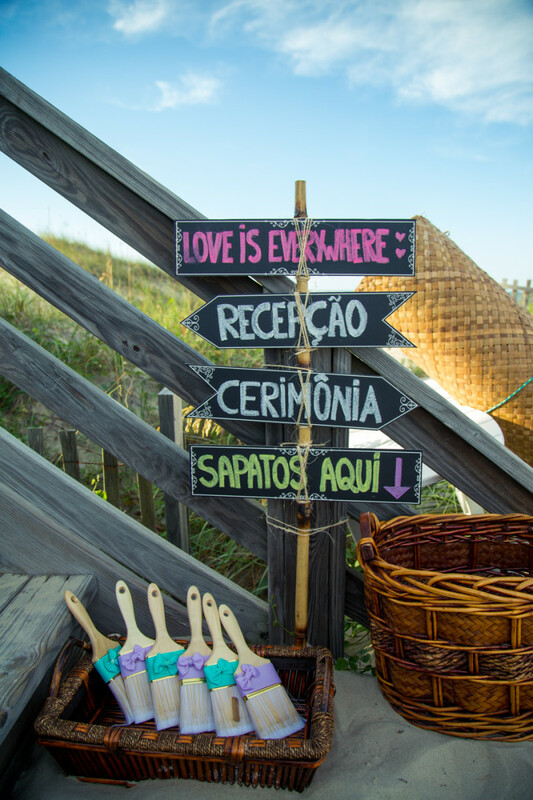 Let me tell you – it was one big Brazilian party all the time, with cookouts every night. 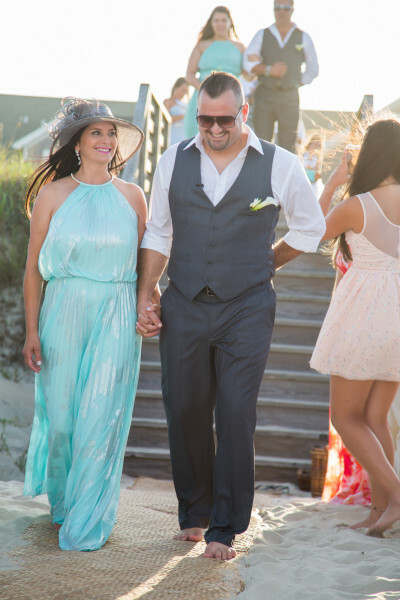 Even on the day of the wedding everyone was still relaxed, lounging by the pool till afternoon. 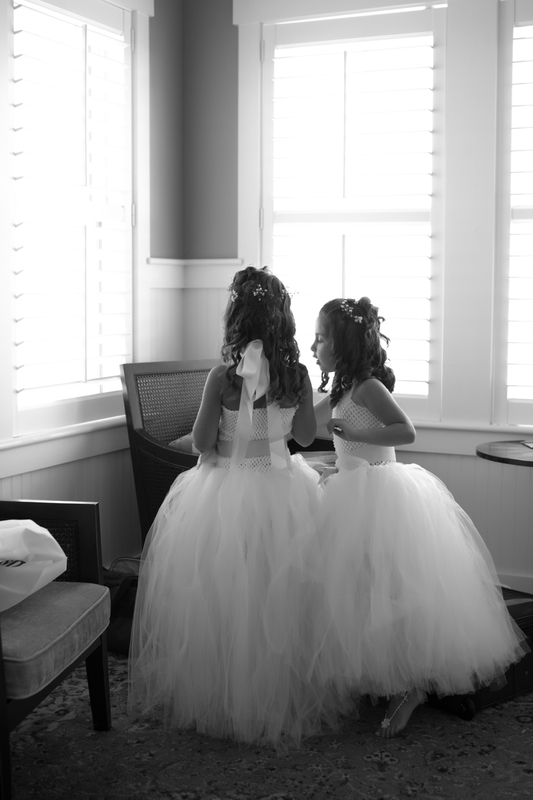 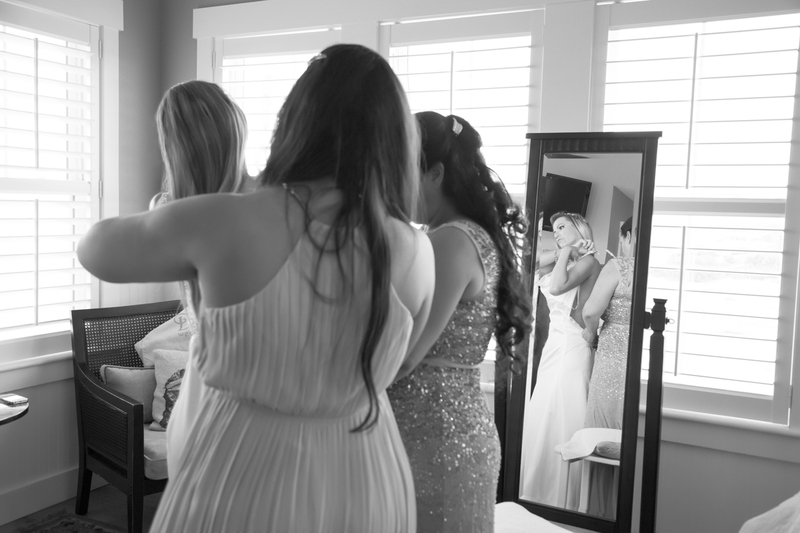 The bride was getting ready in the suite upstairs with her mom, her sister and adorable flower girls. 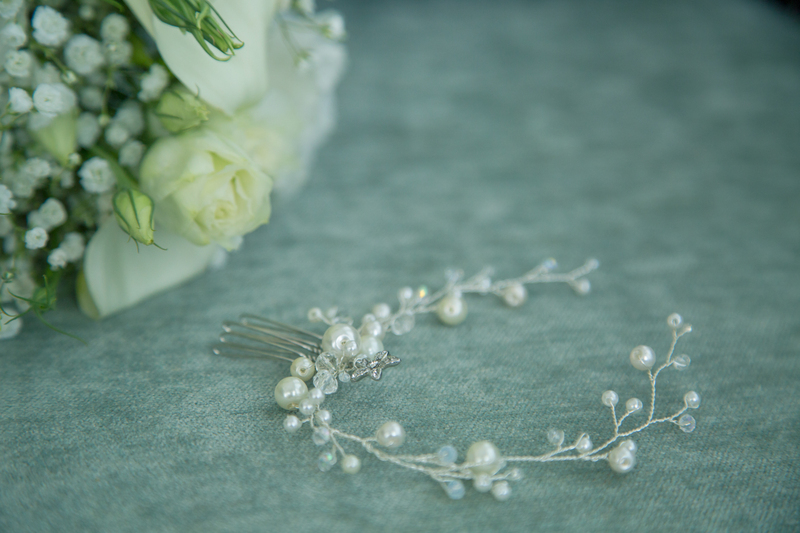 Bell decided to keep her hair down with a thin braid around and a small hair jewelry. 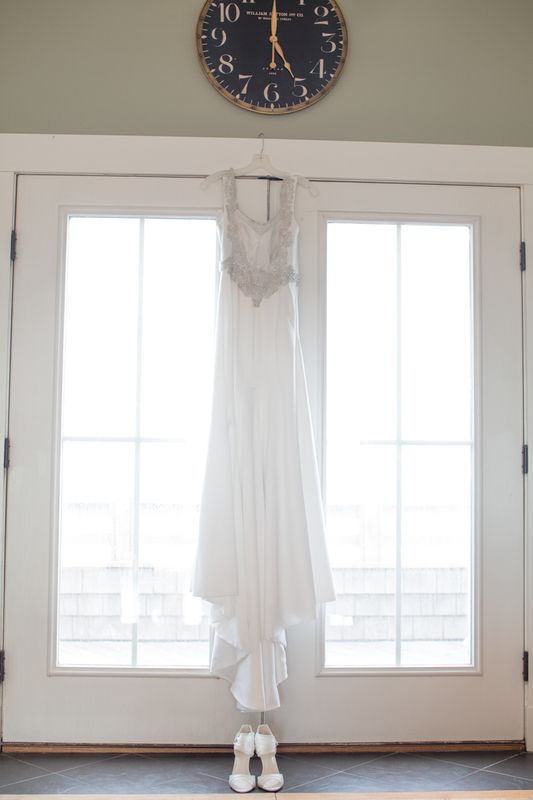 She wore an elegant mermaid style wedding gown with an open back and silver details. 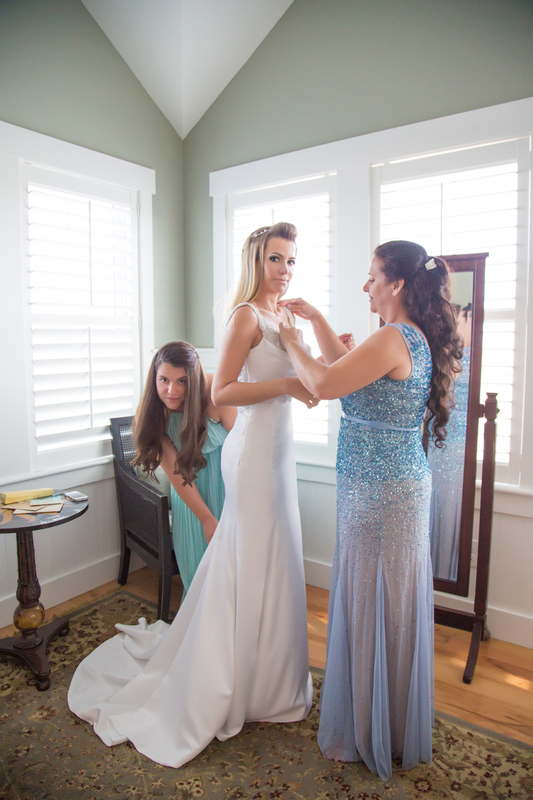 It looked stunning on her! 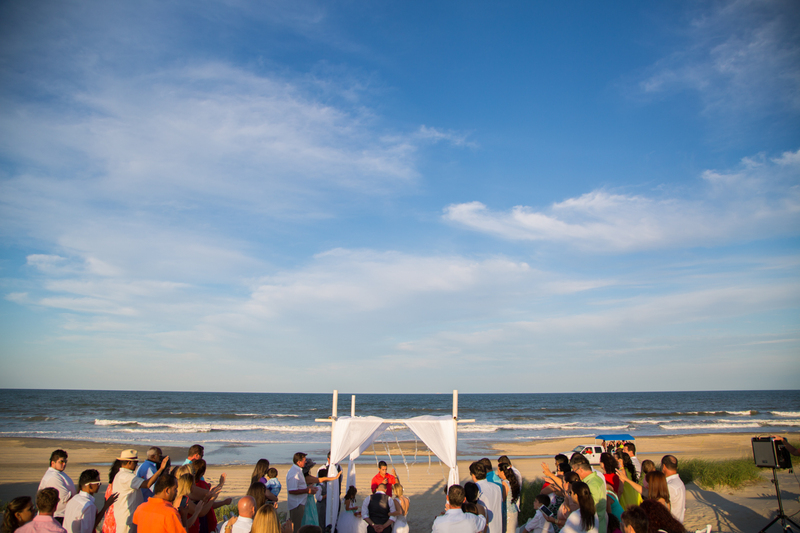 The ceremony was right on the beach, in front of the house. 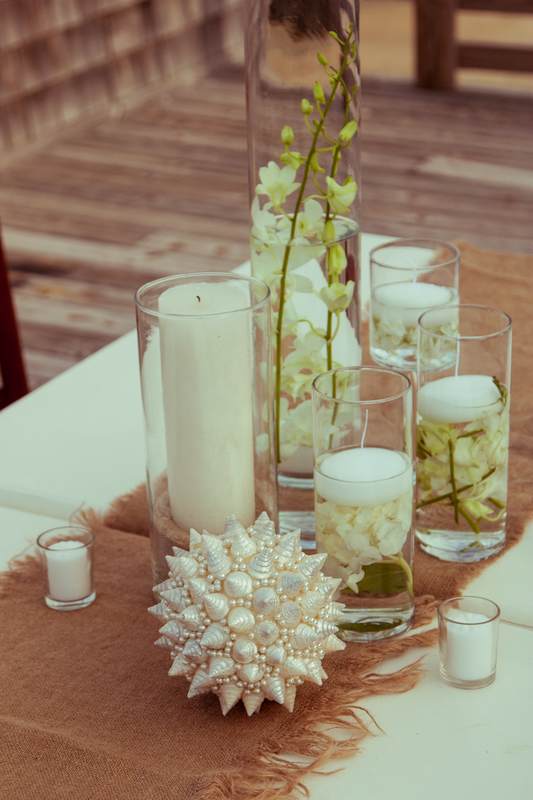 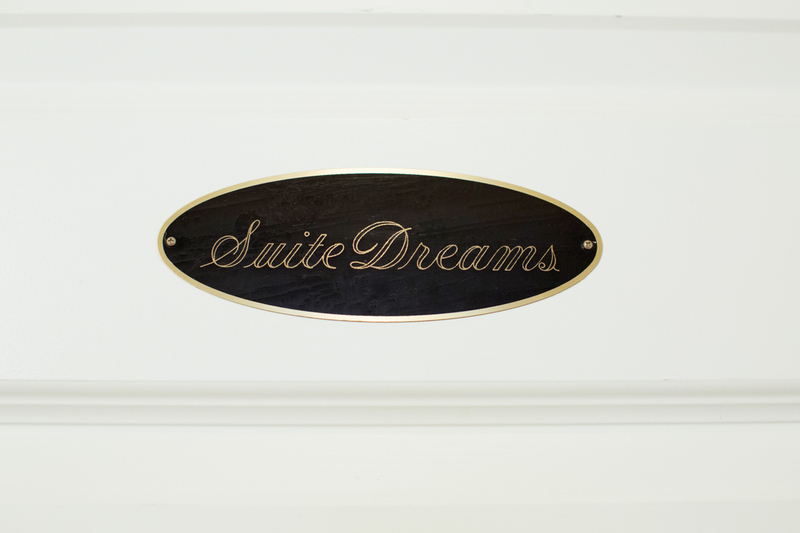 I loved how they added a few personal touches to the decor. 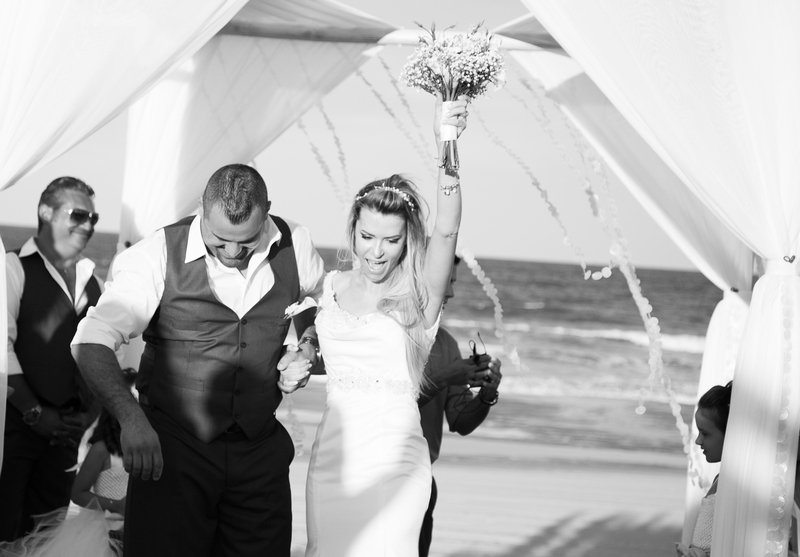 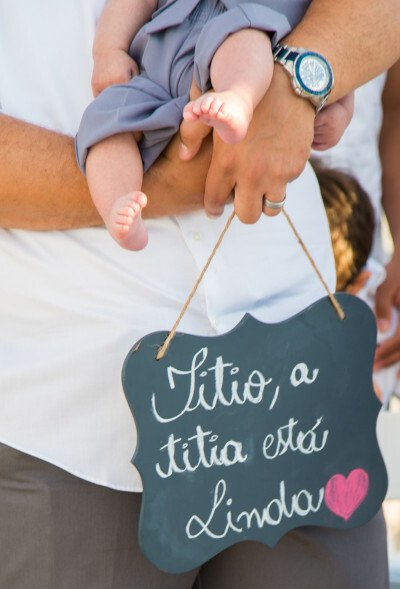 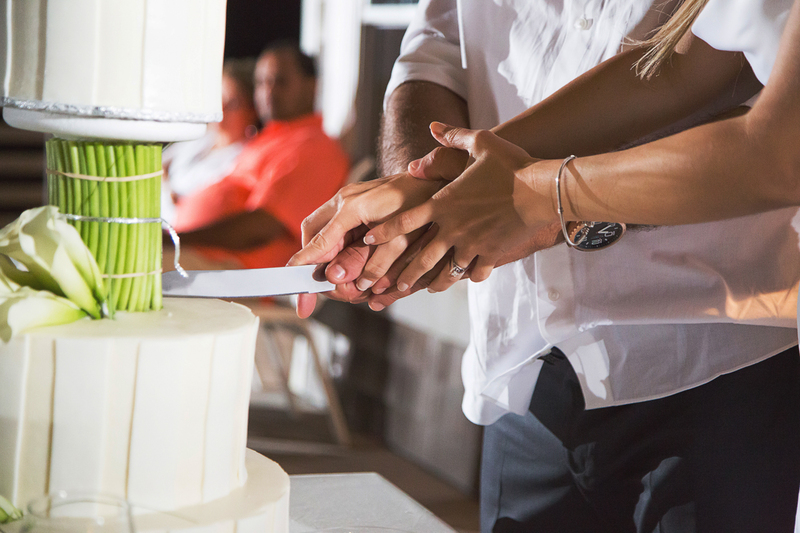 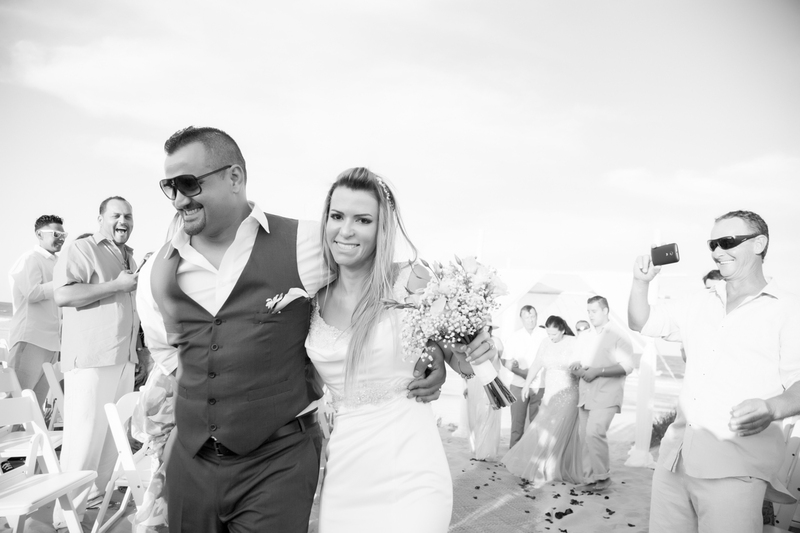 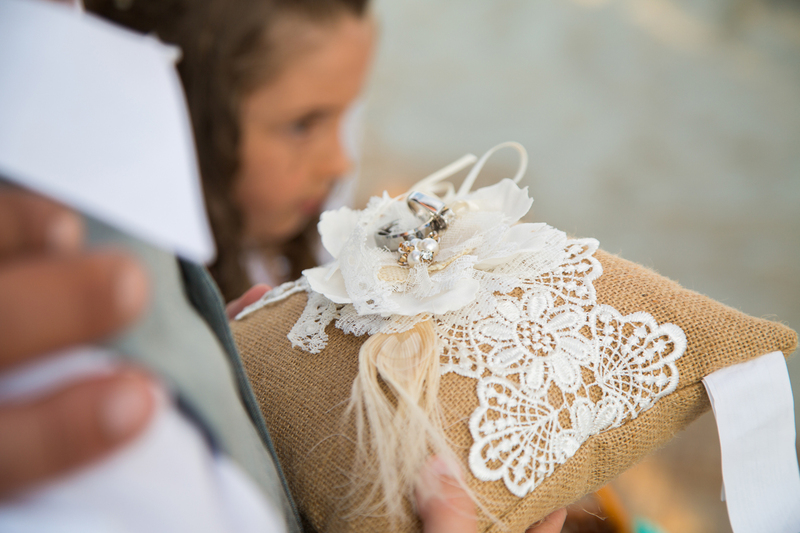 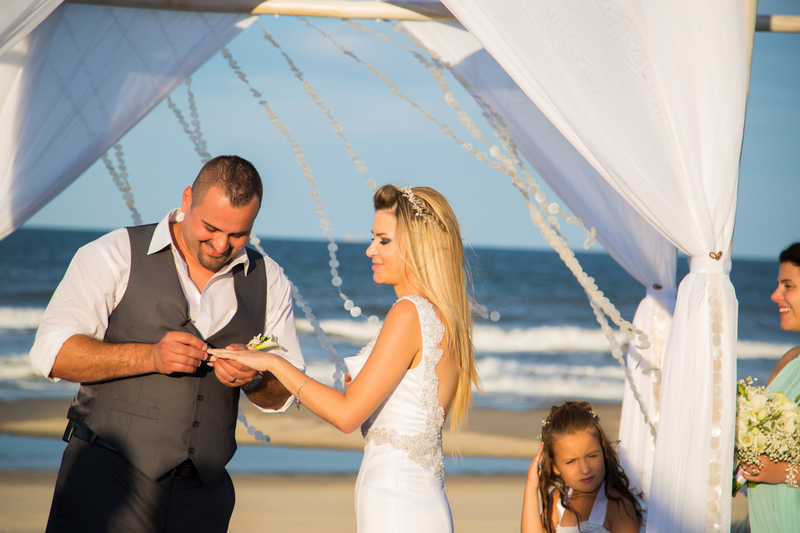 The bride and groom exchanged their vows in Portuguese. 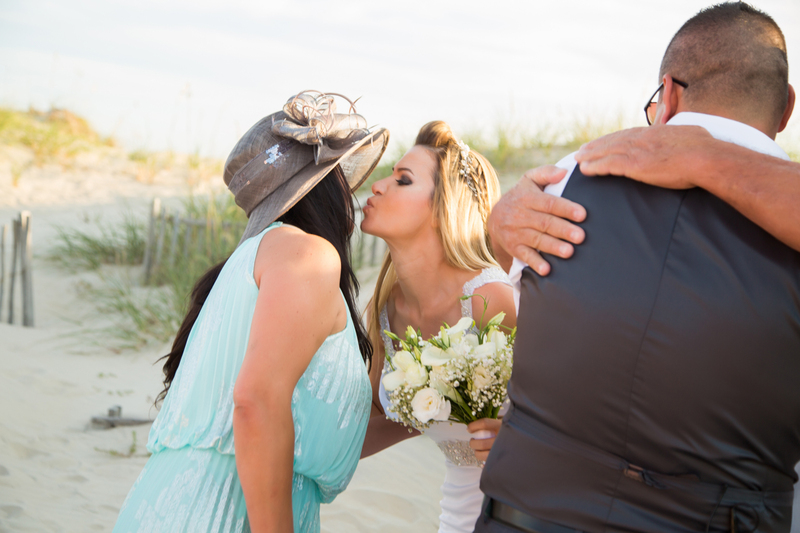 Although I couldn’t understand a word, I could tell by the reaction of the guests that it was very touching. 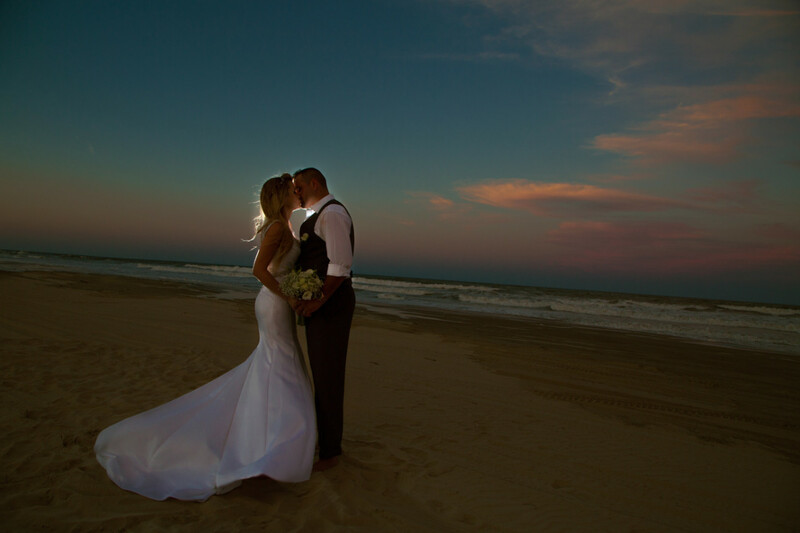 They exchanged the rings and the first kiss right in front of the ocean, as the sun was going down. 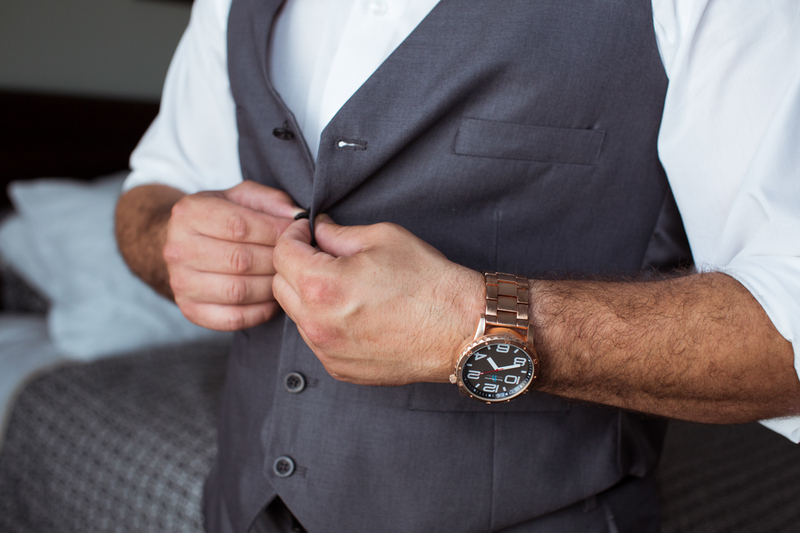 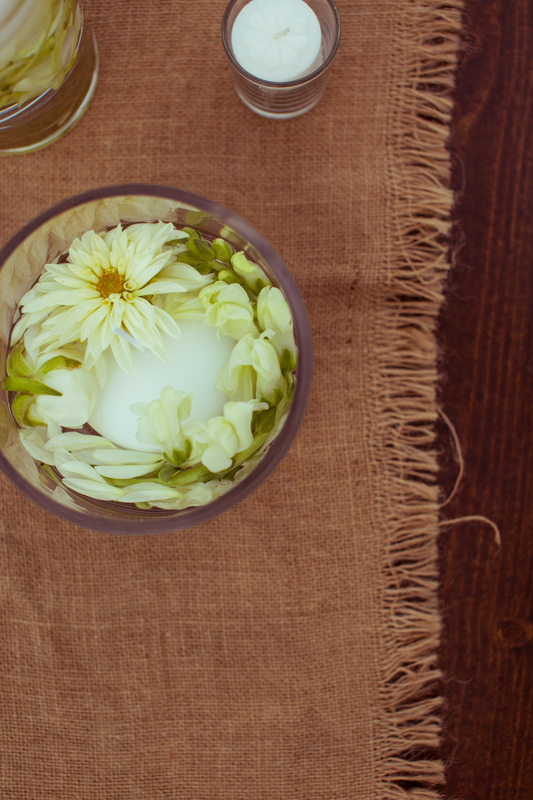 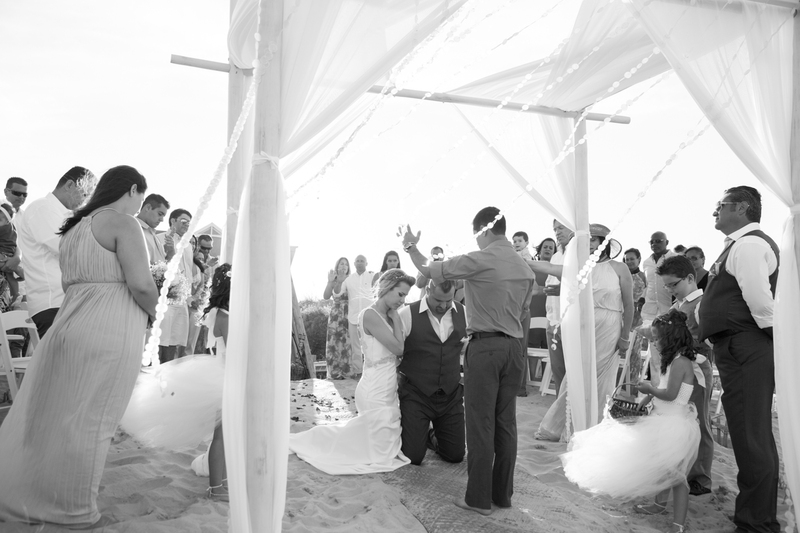 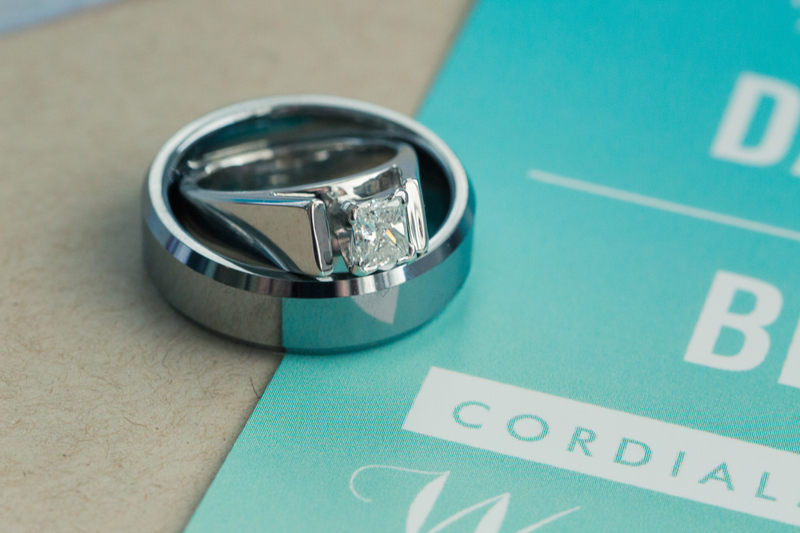 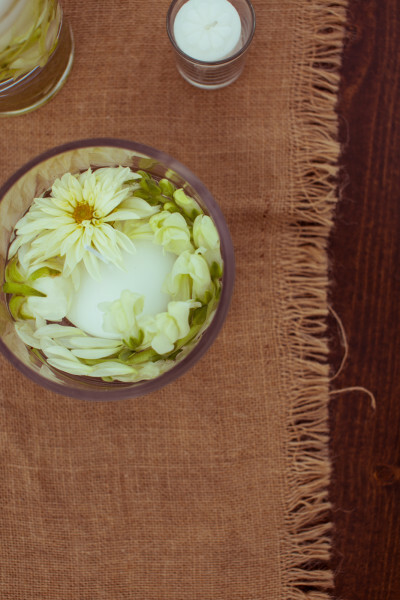 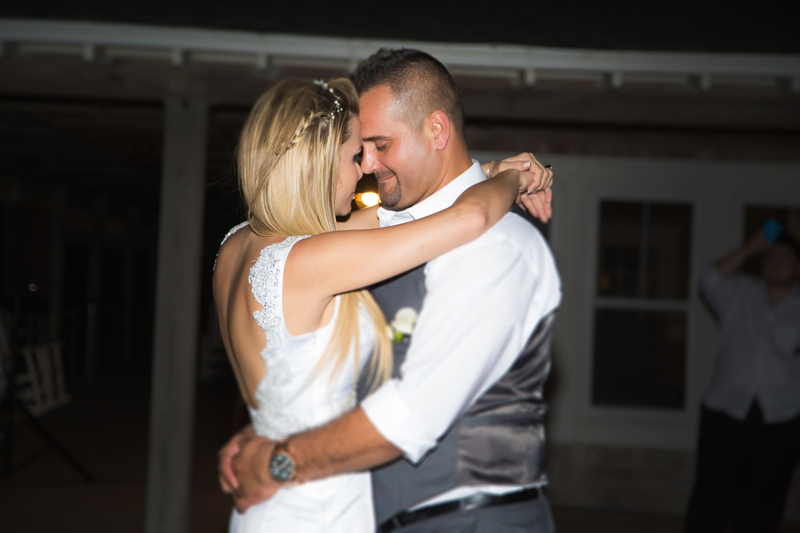 Before heading to the reception, the bride and groom came down to their knees and prayed. 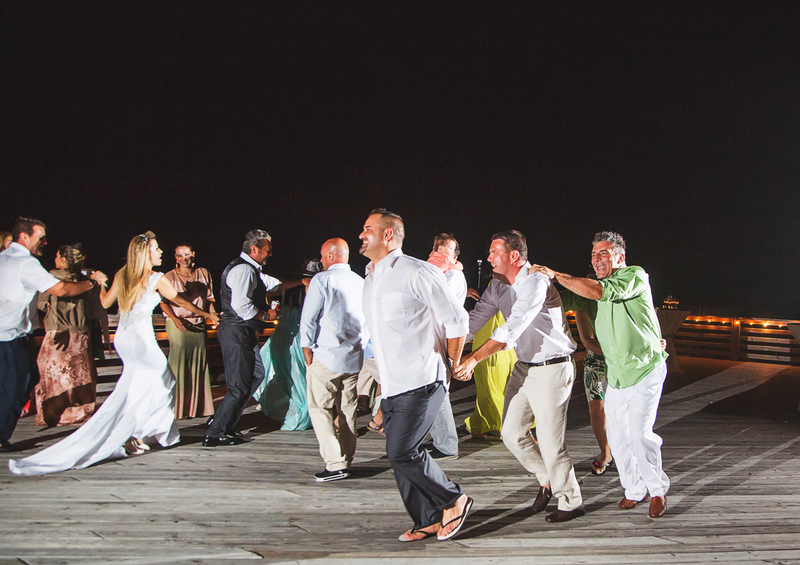 Everyone joined them in this solemn moment. 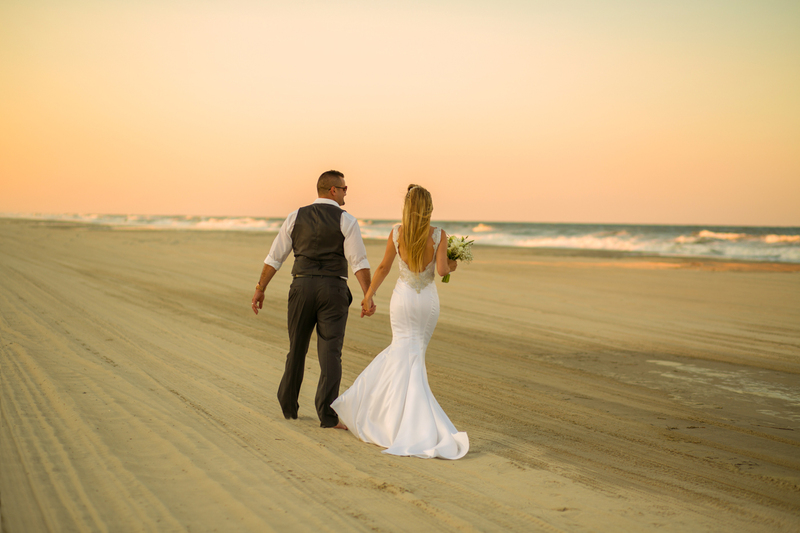 Afterwards, the guests moved to enjoy the cocktails, I stayed with the bride and groom to get some amazing photos of them together on the beach. 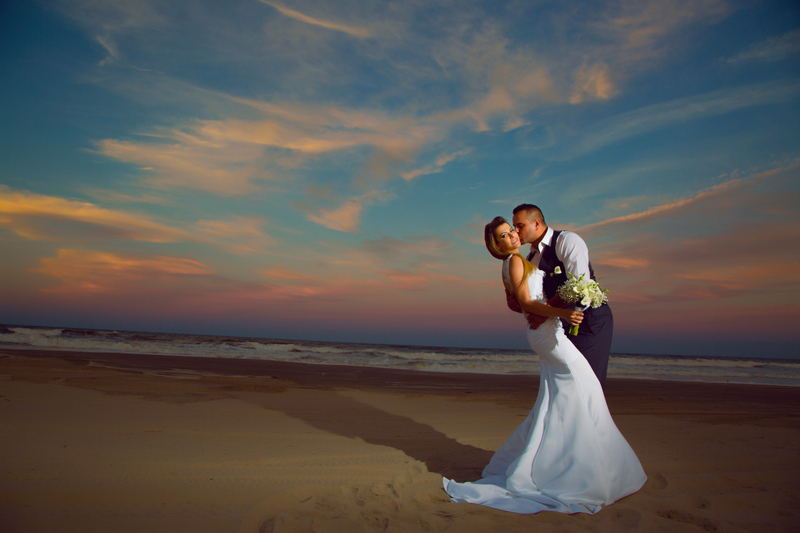 As the sun went all the way down, we were lucky to witness oh so gorgeous skies! 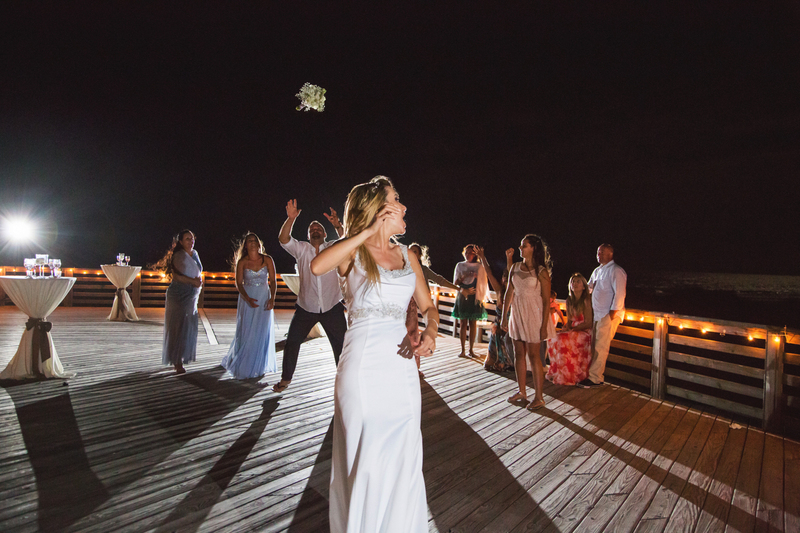 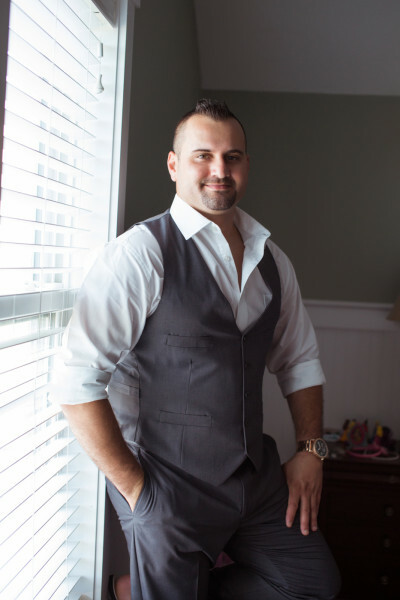 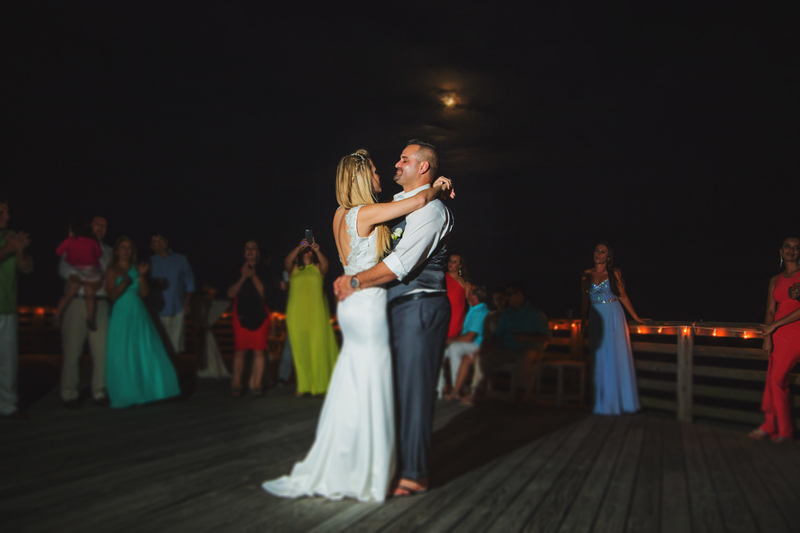 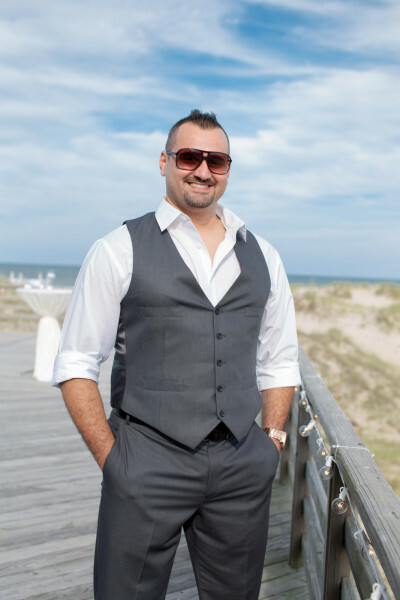 The reception was held literally under the stars and the full moon shining over the ocean in the clear night sky of North Carolina. What a beautiful wedding it was!